Hello! 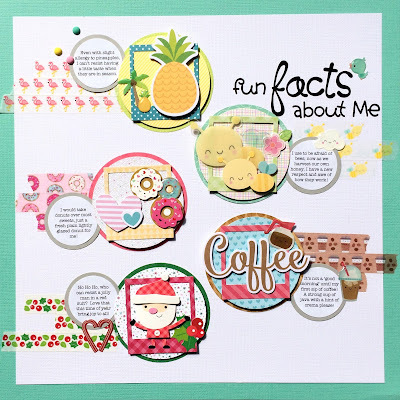 it's Virginia here on the blog today to share with you a scrapbook page I created for the 'All about Me' challenge. 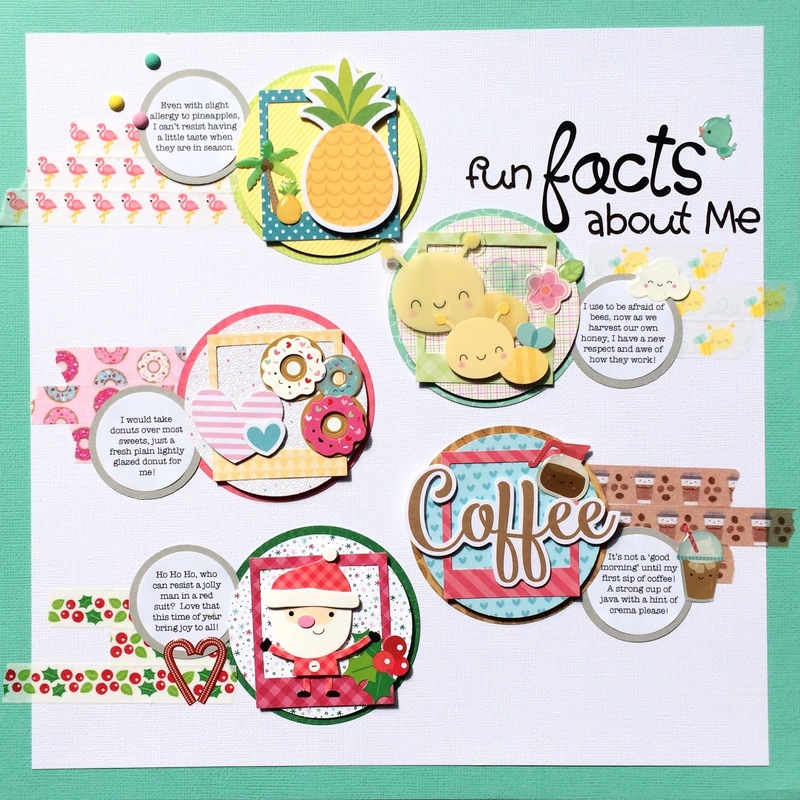 My approach here was to create some cute embellishment clusters relating to some random facts about me. 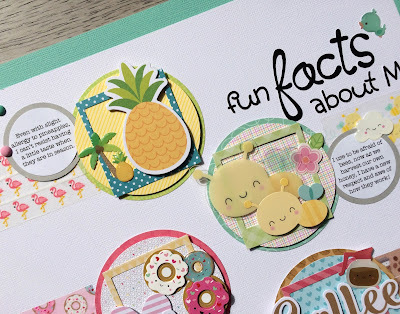 I kept the circular design elements consistent throughout the page. I loved using the theme related washi tape to ground the embellishment clusters. Hope you take some time documenting yourself, as memory keepers we don't do enough of this, have fun!! Love this!! 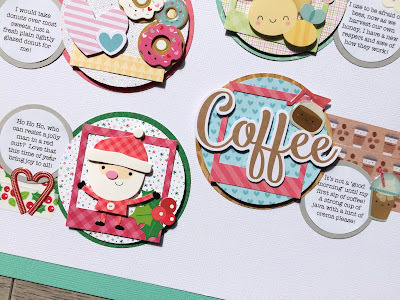 The circles & washi are fabulous! So sweet!!!! It's a great idea!! !